Values for Spring 1 & 2 2019: Rights and Responsibilities. 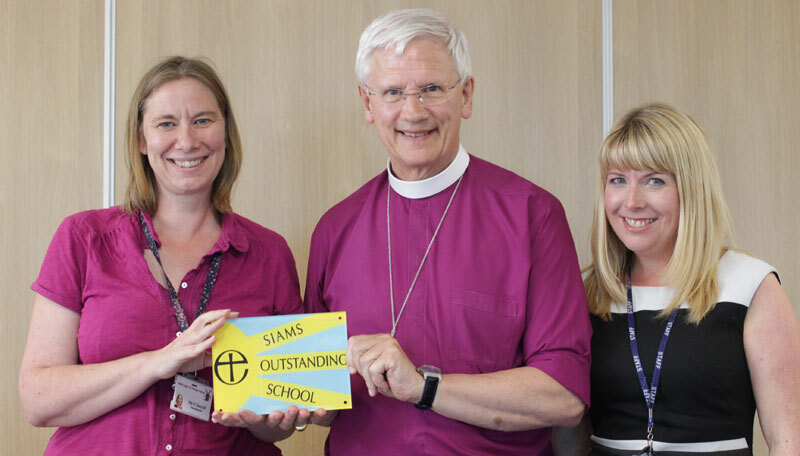 North Leigh Primary School is a vibrant Church of England school in which our Anglican Christian values of respect, honesty, perseverance, creativity and community are at the heart of all we do. We work in partnership with parents and the wider community to help every child make good progress, develop a lifelong love of learning and broaden their sense of citizenship, as they grow in mind, body and spirit. 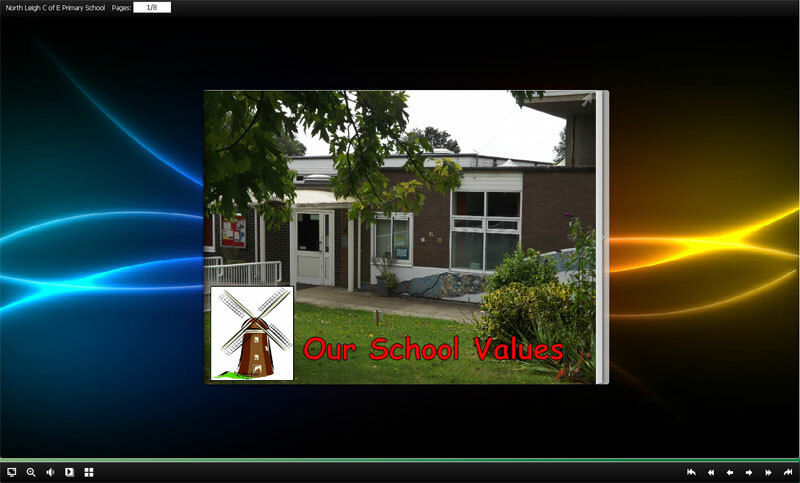 Our values were chosen with input from the whole school community. Click here to see the School Parliament making their final deliberations. 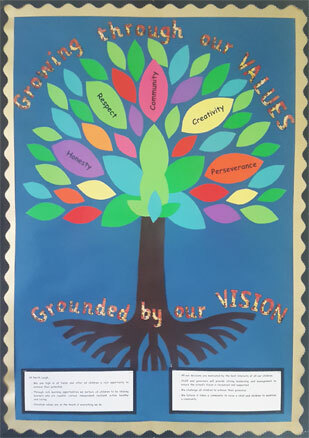 We hope that visitors will see our values reflected in school and that we all take them with us beyond the school gates. 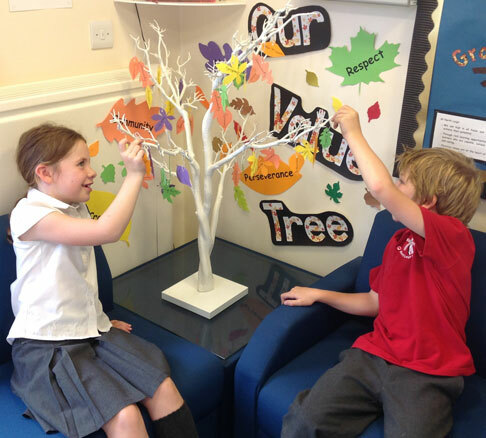 We celebrate those living through our values with regular values awards, recorded on our Value Tree. We value respect and fairness towards others. We aim to develop a culture of inclusion and diversity in which all members of the school community feel proud of their identity and participate fully in school life. Show respect for all people: Love the brothers and sisters of God's family, respect God, honour the king. We value honesty and integrity. We encourage truthfulness and trust throughout our school community. Stop lying to each other; tell the truth, for we are parts of each other and when we lie to each other we are hurting ourselves. We value perseverance. We encourage members of our community to challenge themselves and be the best that they can. Blessed is the one who perseveres under trial because, having stood that test, that person will receive the crown of life that the Lord has promised to those who love him. We value creativity and imagination. We encourage all in our community to use their God given gifts and ingenuity. We value community. We foster the spirit of compassion for others within our community and beyond. Click here to see the School Parliament making their final deliberations.